Indies Outside the Box: Fan-tastic Customs - January 2017 Box - Polish Etc. Today, I have another indie nail polish box to share with you all. The Indies Outside the Box: Fan-tastic Customs boxes are released quarterly with 4 exclusive polishes inside. 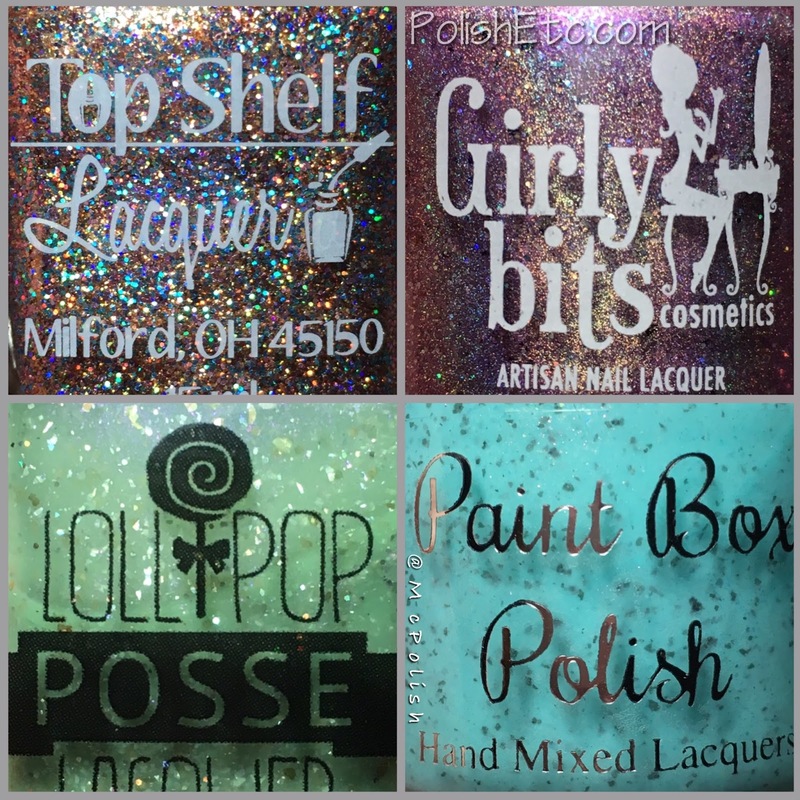 The hosts of the box are Top Shelf Lacquer and Lollipop Posse Lacquer and they are joined by two guest makers each box. For the first box of 2017, the guest makers are Girly Bits Cosmetics and Paint Box Polish. The inspiration for the polishes in these boxes all stem from photos voted on by fans. Inspiration photos are submitted and voted on, then the maker uses that inspiration photo to create a custom polish for the box. Cool idea, right? 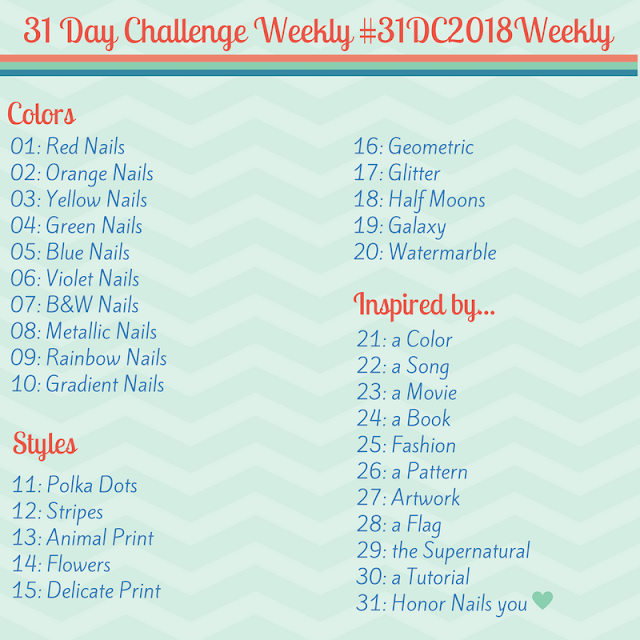 I will show you all of the inspiration photos that inspired these polishes after the swatches so you can see where each maker got their inspiration. 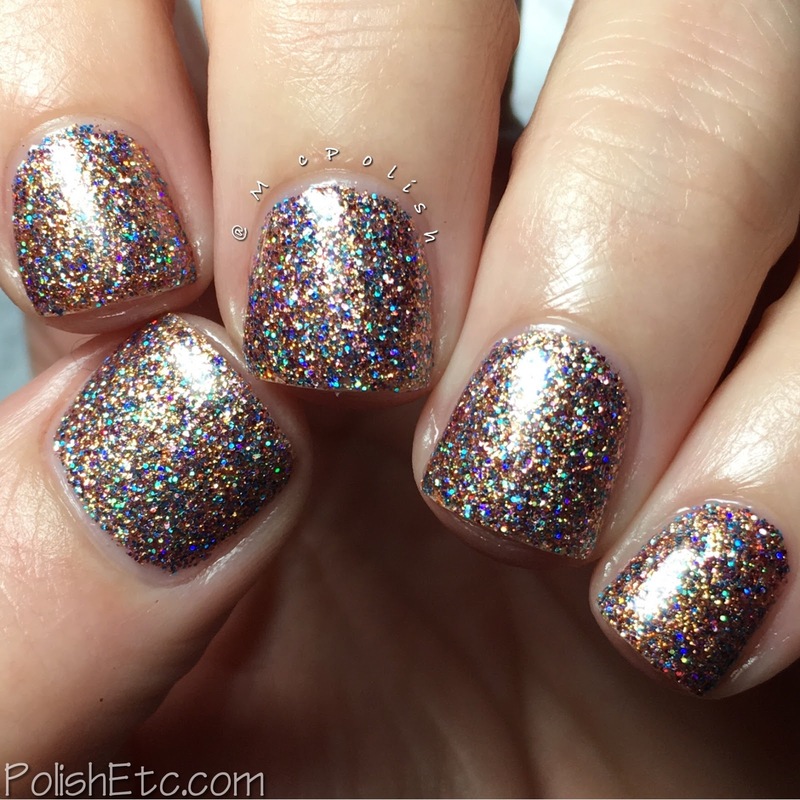 Glittertini by Top Shelf Lacquer - A super sparkly micorglitter bomb with a copper base and flashes of bright blurple and teal. This polish is so distracting in person. It just sparkles so intensely. the formula was really nice as well. Two coats and it was completely opaque and did not dry down super gritty as I expected it to. The base is clear but there is a fine bronze dust that gives it a more coppery effect. 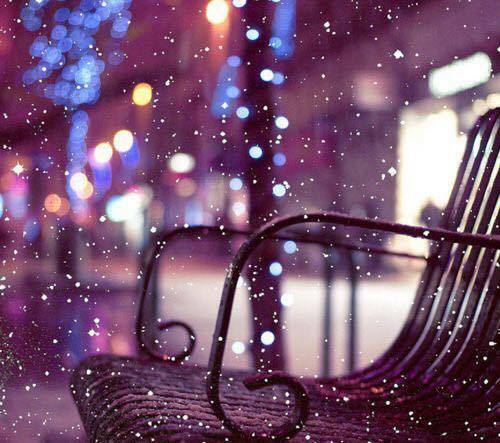 I really love it and the photo that inspired it. Every Leaf Speaks Bliss To Me by Lollipop Posse Lacquer - A soft mint sage green crelly base that is packed with iridescent flakies, bright pink shimmer and gold flakes. This color is perfect for springtime! 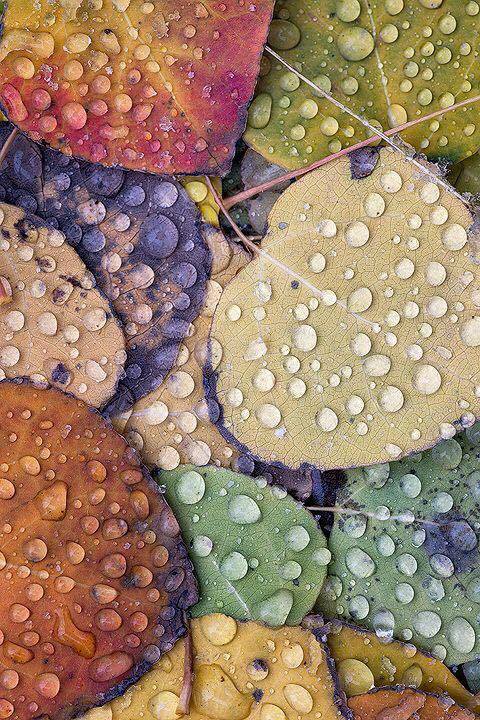 It is soft and delicate but still interesting. The formula was a little bit sheer and I need three coats for full opacity. 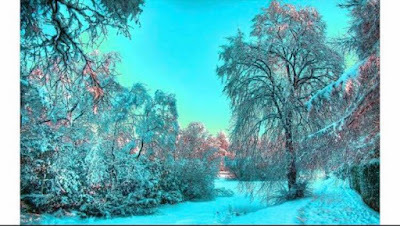 The inspiration photo is very nice as well. I dig both of them! Freeze Frame by Girly Bits Cosmetics - A dusty pink toned purple base scattered holographic base with blue ultrachrome flakies and holographic microglitter. Such a lovely contribution to this box! I enjoy that the flakies and glitters are more sparse in this polish which allows more focus on the pretty purple base. It fits the inspiration photo so well! I am showing you three coats with top coat here. 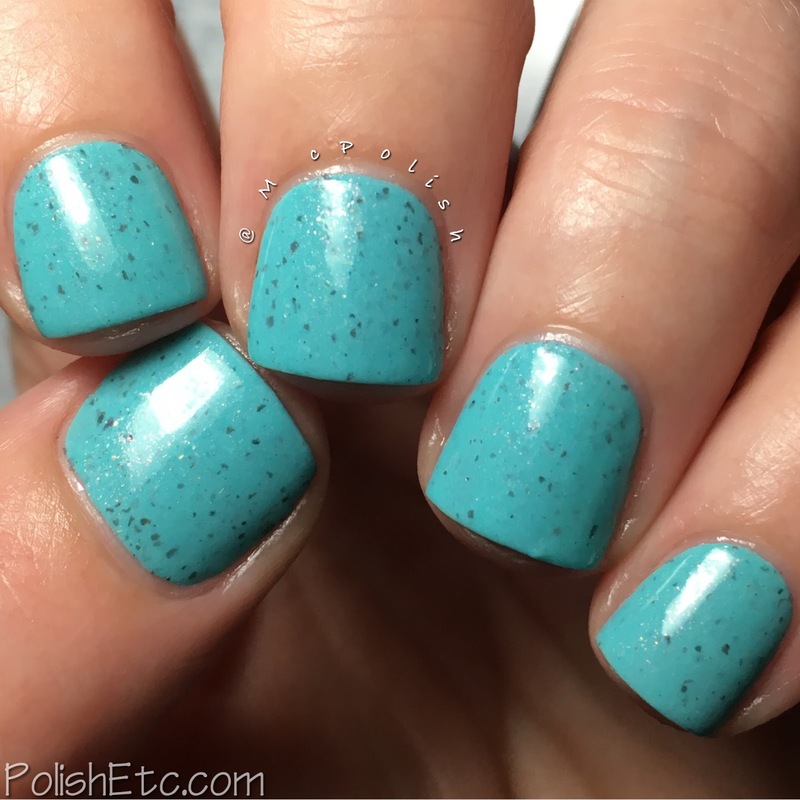 Takes One to Snow One by Paint Box Polish - A bright turquoise creme with a sprinkling of iridescent microflakies and charcoal grey flecks. It is a nice bright addition to the box. This color is great for winter and summer. The formula was nice. This is two coats with top coat here. The January 2017 edition of the Indies Outside the Box: Fan-tastic Customs box will be available for pre-order Jannuary 13th at 5pm EST through January 22 at midnight. All four full sized polishes plus US shipping will run you $45. There is international shipping available. The boxes can be purchased from the Lollipop Posse Lacquer site. And if you want to participate in the curating of the next box, be sure to join the IOTBFTC Facebook group to play along. Thanks for the excellent post, Amy! Your photos are divine! I thought the matched the photos very well! Freeze Frame is so gorgeous!